Composting is a great way to enhance your garden while reducing polluted runoff into our creeks. Soil that has been amended by compost holds water longer on site, like a sponge, keeping the water where the plants can use it – in your garden. Healthy soil is the #1 critical element in growing beautiful lawns and gardens. By adding compost to your lawn or garden, you can create healthy, nutrient-rich soil, because you’re feeding the plants and their roots real food, instead of just artificial chemical nutrients. This reduces the need for chemical fertilizers and pesticides. Compost and compost teas are more than just soil amendments – they’re the building blocks for a healthy soil ecosystem. When chemical fertilizers, herbicides or pesticides are over-applied, the toxic components kill not only the bad bugs, but the good ones, too. Then, if it rains a few hours or a few days later, these nutrients and chemicals can flow off your lawn and contaminate streams and rivers, harming the fish and wildlife living there. Being Stream Smart means creating healthy living soil that works hard to hold water and nutrients, and grow healthy plants. Composting happens naturally all around us. For example, leaves fall off the trees and are layered with organic material on the forest floor. It can take hundreds of years to create a single inch of soil. By composting you are actually speeding up the process of soil-building by creating habitat for all of the microorganisms that make decomposition possible. Worms and insects chew the material so that it is small enough for the microorganisms to eat. Then, bacteria and fungus utilize the leftovers. The compost pile creates the perfect setting for all these important soil creatures to interact in a way that makes decomposition happen faster and more effectively. When you compost vegetable scraps and yard clippings, you are feeding the soil food web which, in turn, makes nutrients available to plants. 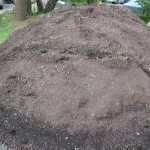 There are many different types of composting. Choose one that matches the materials you are using and how much time you would like to spend creating soil amendment. Composting can be as simple as a pile of leaves and garden clippings that will slowly decompose. 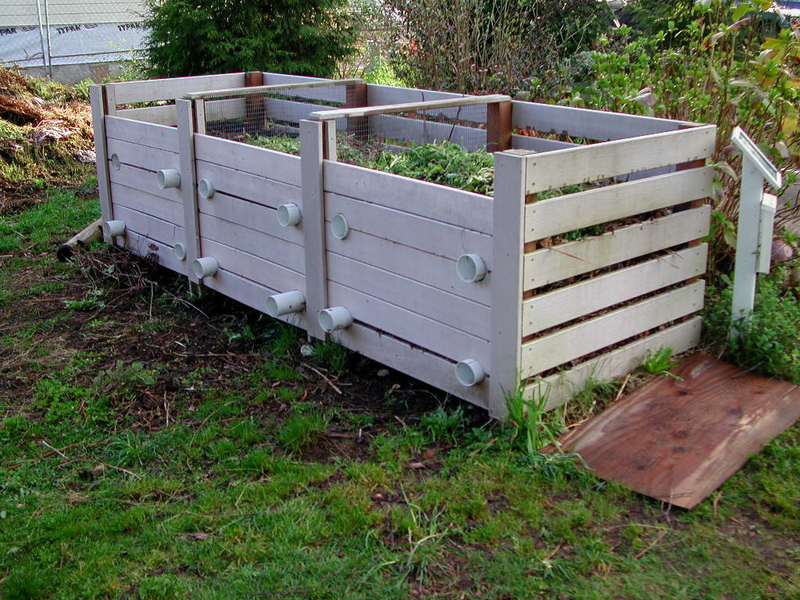 You can also opt for a more tidy set-up and use a manufactured compost tumbler, static bin, or a wire cylinder. 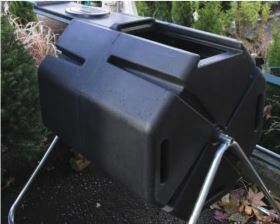 If you are interested in a manufactured composter, check with your local landscape supply store. For instructions on making your own compost click here. 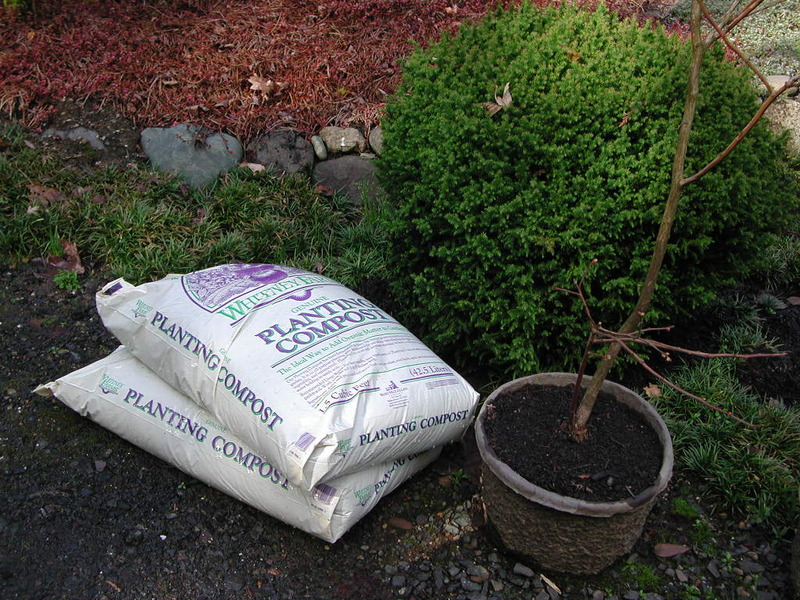 Once your compost is ready you can mix it into your planting beds, use it as mulch, or as potting soil. There are also many local suppliers of compost. See the resources section for available options. A rotating bin is one of many options for composting. Photo courtesy of Jackson SWCD. 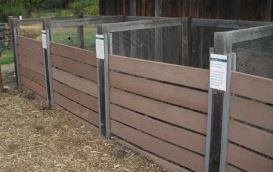 Demonstration of a multi-compost bin system at North Mountain Park. Photo courtesy of Jackson SWCD. To learn more about compost, compost tea, and sheet mulching, visit OSU’s Compost site.